Winewood Grill and its culinary team take great pride in producing made from scratch recipes with the finest and freshest ingredients available. A Winewood meal is an exploration of the senses. We invite you to experience all we have to offer. 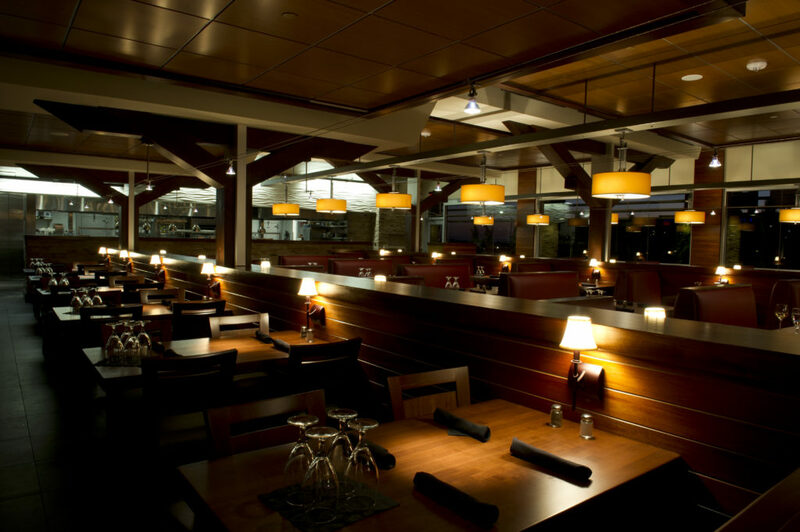 Cozy up to the bar, where an extensive wine list is sure to tease your palate. Head to a table and enjoy the view as our chefs do a bit of showing off at the wood fire grill in our open kitchen. If you enjoy a more secluded dining experience, reserve a table in one of our private dining rooms. However you choose to experience Winewood, we know your visit will be memorable. The freshest ingredients and enticing presentations make our version of American classics truly unique. Our steaks are cut by hand in our own butcher station, and top notch seafood is delivered fresh to our kitchen daily. Treat yourself to fall-off-the bone ribs paired with smoked gouda macaroni and cheese, or enjoy a fresh spinach and strawberry salad topped with hickory grilled Scottish salmon. Our genuine commitment to quality extends from the kitchen to the bar. Allow our attentive, knowledgeable staff to guide you through our discerning wine selections. We have also built a serious collection of fine bourbon and scotch. Our bartenders would love to pour you a glass. We invite you to see why Winewood is a must visit destination on Grapevine’s historic Main Street.